When I read this scripture I immediately thought of the Bone Crusher song “I Ain’t Never Scared”! Why should we be scared? 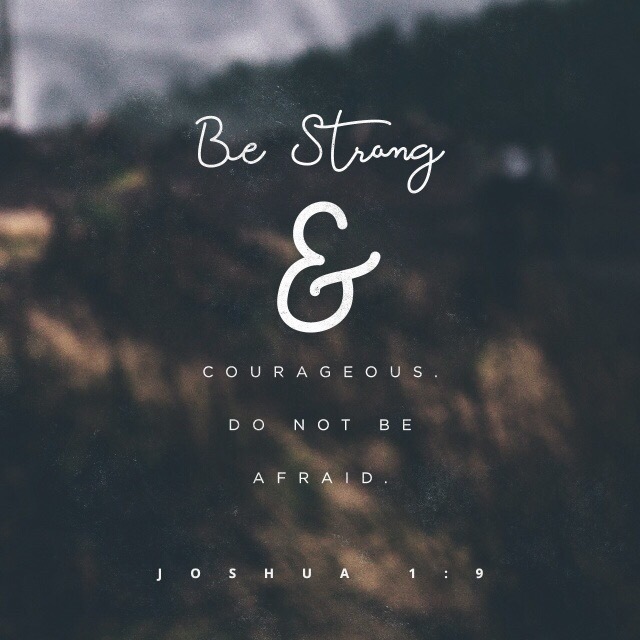 Why should we be fearful when Jesus is with us! Fear is an illusion. If you fall, you can get back up. Take a leap of faith to be courageous. I am really going to meditate on this scripture all week to retrain my mind that I am strong and that I can do what every I want. Whatever goals you want to accomplish this week, this month, this year…just do it! Do it without fear. God is with you. You don’t have to be afraid.